Well, this was expected but it doesn’t make me any less sad. LucasFilm announced a while ago that they would be rereleasing their Star Wars movies in 3D again to enhance the movie going experience (for those who aren’t as cynical or frankly ignorant, this means they just want to enhance their wallets). 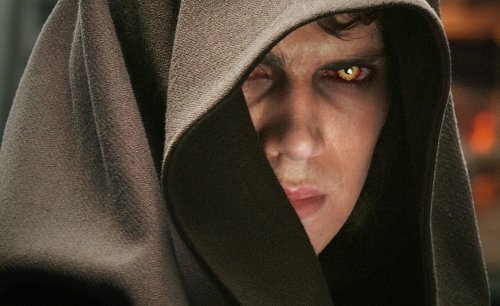 Sadly, Lucasfilm just gave dates to the last two prequels in the series, Attack of the Clones and Revenge of the Sith, and they’ll come out September 20, 2013 and October 11, 2013, respectively. Don’t get me wrong, I love the Star Wars series. A lot. Hell, I will even go as far to say I actually like the The Phantom Menace and Revenge of the Sith prequels (notice I didn’t include Attack of the Clones). But it’s saying something about Lucasfilm when they are pushing their timetable on these new rereleases from one a year, to two movies in one year. This probably has a lot to do with the failure to meet expectations at the box office with the first 3D rerelease, and they just want to get to the original trilogy. As a huge fanboy, I anxiously await that day, but at the same time I absolutely dread it. But I’m not going to start biting my nails until at least the prequel rereleases are out and over with. However I will end with one question for Lucasfilm: Why don’t you just make new movies that aren’t Star Wars or Indiana Jones related? Crazy idea, right? Attack of the Clones is the best of the prequels. I wasn’t too impressed by The Phantom Menace in 3D.